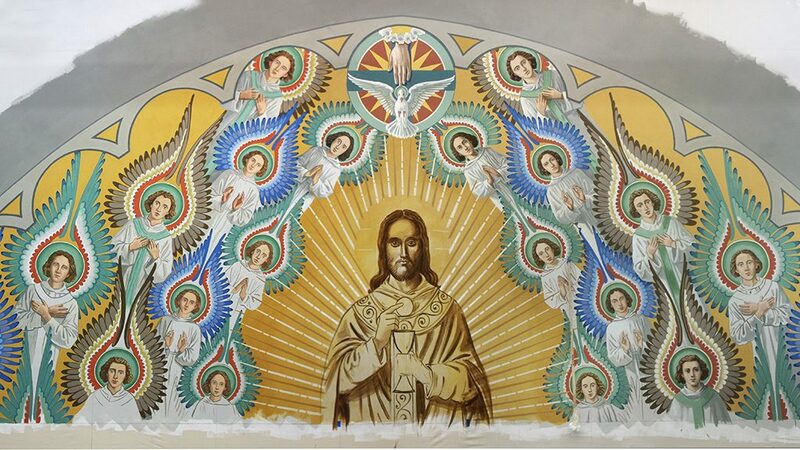 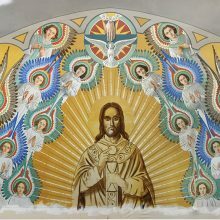 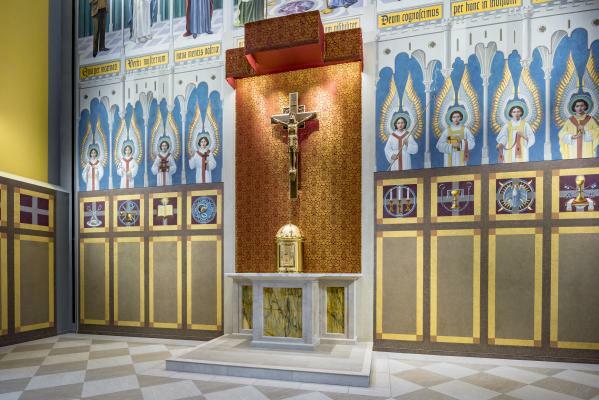 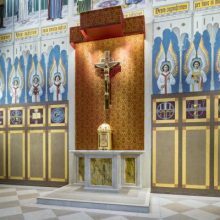 The seminary chapel’s magnificent sanctuary wall features the risen Christ, vested as the high priest, attended by angels. 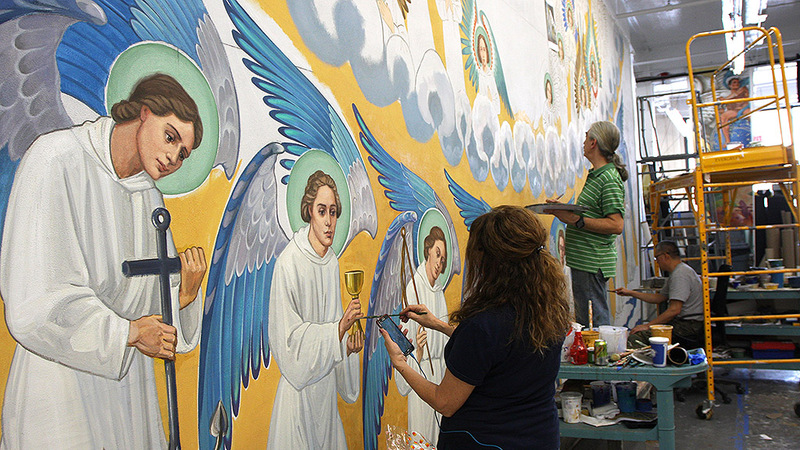 The original artwork was designed and painted by renowned muralist Gerhard Lamers in 1930. 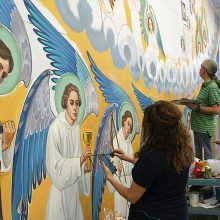 The wall, measuring approximately 55’-tall by 35’widesuffered from extensive water damage and had been touched up several times by the original artist and eventually completely painted over in the 1980s. 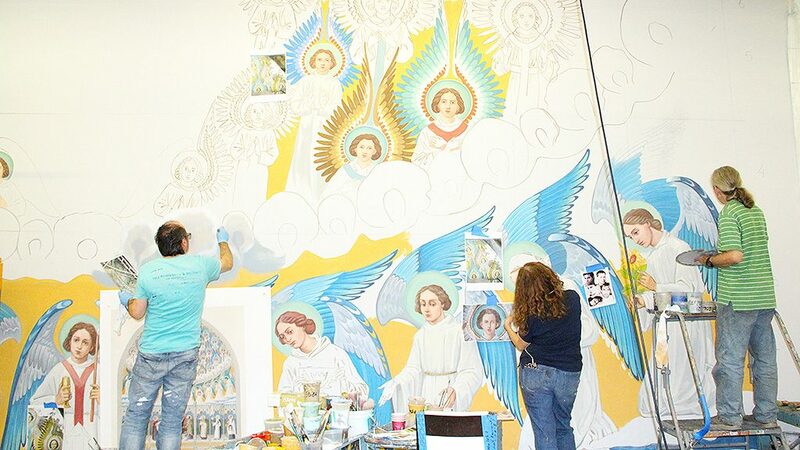 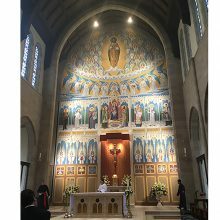 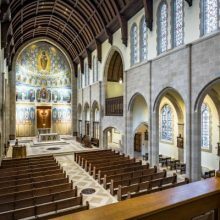 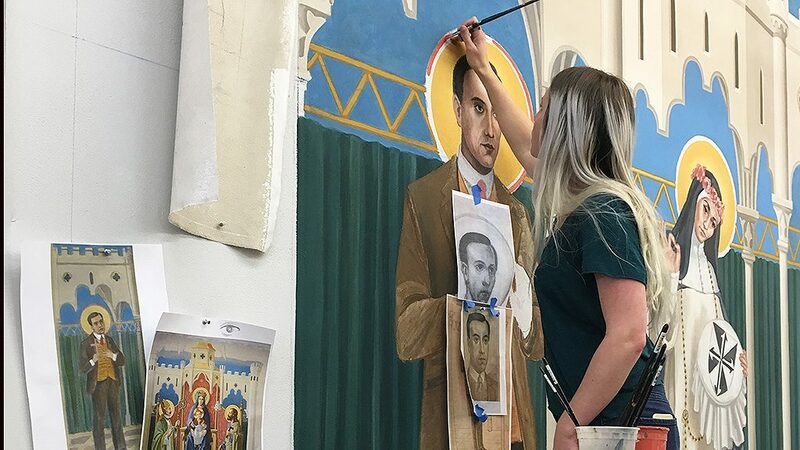 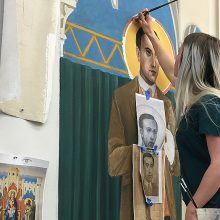 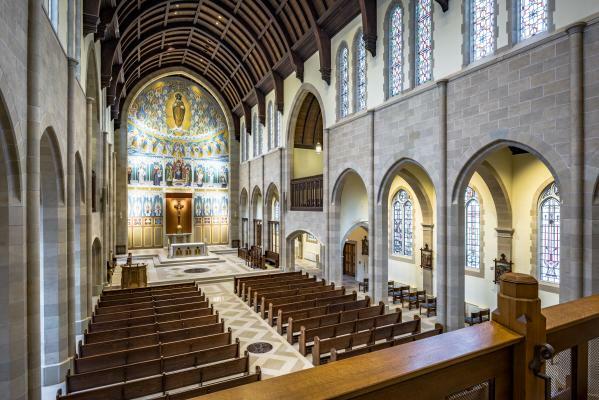 EverGreene conservators undertook an investigation and analysis to uncover the historic artwork and palette to inform the creation of a new mural, evocative of Lamer original, yet inclusive of saints significant to the Josephinum. 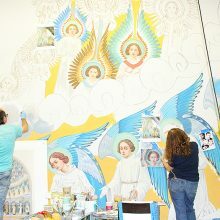 The new mural, executed on canvas in the manner of the original, was designed and painted in EverGreene’s New York studio. 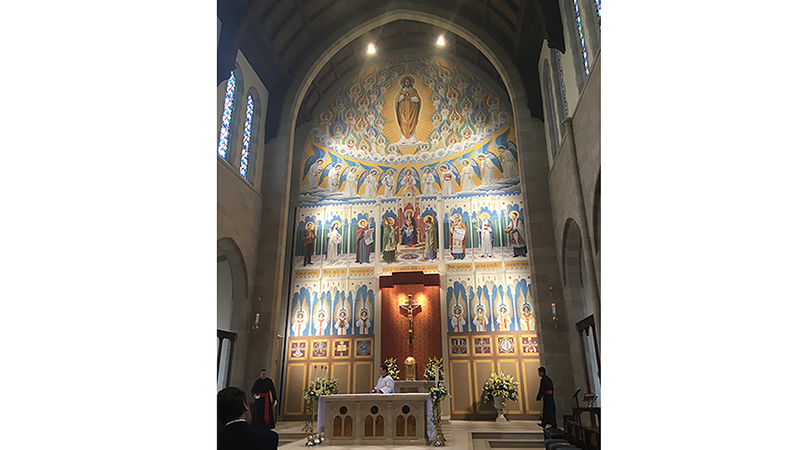 The renewed chapel was rededicated in April 2017.